Website creation is an easy task that anyone can do. However, even if this is the case, website or blog themes tell a lot about your website. Therefore, the most important thing that comes with designing a website is looking for an appropriate theme to go hand in hand with it. 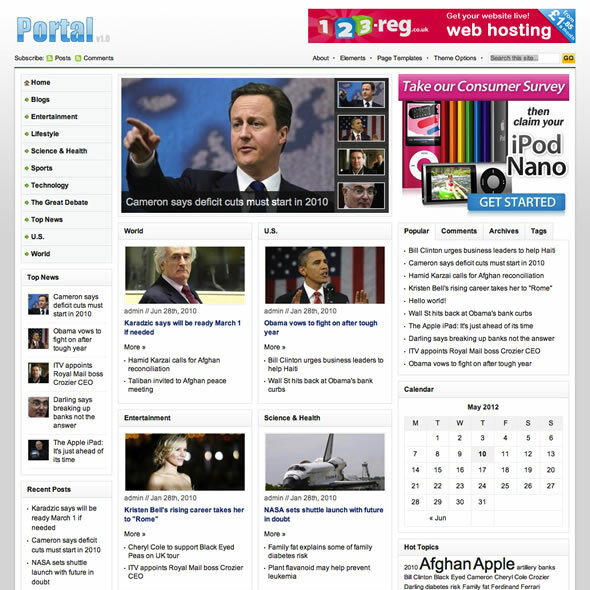 Portal WordPress theme by theme junkie is one of the best themes to have in your website. This is one of the most neat and content rich WordPress themes. This theme has all the features that most web designers need. This theme best fits media websites like news, magazine, entertainment, fashion, lifestyle websites. However, this does not mean that it can’t be used on other niche websites. It has a very professional and beautiful look and featured slider that shows image and title. Some of the most unique features available with this theme are easy customization of the theme, stat counter, and others. You can use it to easily create your website or blog. This theme has a lot of features that are very useful to a web designer. Moreover, the features below make this theme unique. Logo can be switched between image and text. The theme has Up to 4 Footer Widget Area.